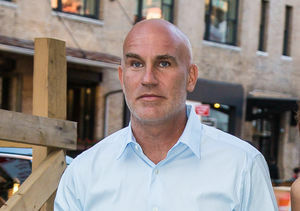 Weeks after on-again, off-again boyfriend Dennis Shields’ sudden death, “The Real Housewives of New York City” star Bethenny Frankel is still having a difficult time coping with the loss. 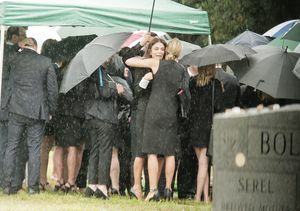 Bethenny recently paid her final respects to Dennis at his funeral in Long Island, where she was photographed tearing up and leaning on a friend’s shoulder. According to TMZ, Shields was able to share some crucial information with EMTs who were trying to save his life. When asked what prescription drugs he ingested, Shields named oxycodone, Vicodin, and a sleeping pill. According to doctors, the drug combination can result in death, due to synergistic effects. Before EMTs and police arrived on the scene, his assistant had reportedly administered two doses of Narcan. Law enforcement sources pointed out Shields was given another dose of Narcan, but it was too late.